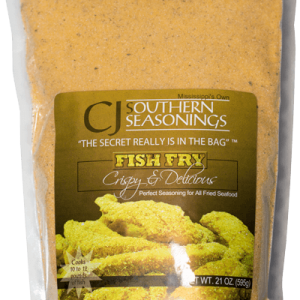 In 2003, Cedric (Retired from the Air Force as a Master Sergeant) and Joan (Miller) Anderson formerly of Natchez Mississippi launched C.J.’s Southern Fried Catfish L.L.C. as a mobile concession in San Antonio Texas. Being the first mobile concessionaire in San Antonio to offer fresh fried fish and seafood, their mission was to provide a restaurant quality product served from a Mobile Concession Unit. Although C.J.’s was primarily located at the Wash me by Hand Auto Detail/Car Wash on Culebra Drive, C.J.’s catered to the town of San Antonio meeting the needs and requests from local Churches, Auto Dealerships, town/city functions (parades), family reunions and other events. C.J.’s Southern Fried Catfish was also certified as a Concessionaire for Lackland and Randolph Air Force Bases. Serving Fried Catfish, Shrimp and Whiting Filets along with Southern Styled Po-Boys, C.J.’s quickly became a town favorite for lunch and dinner. Being mobile allowed C.J.’s the versatility of going to their customers. The custom built mobile concession trailer wrapped in their C.J.’s Southern Fried Catfish logo could be seen traveling daily from location to location. 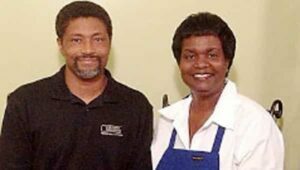 After Joan accepted an offer to join a major Quick Service Restaurant Group, Cedric and Joan closed C.J.’s Southern Fried Catfish and relocated to Tennessee. For years, they would receive phone calls asking where they were located. With much regret, Cedric and Joan would inform the customers that C.J.’s was closed, yet they would offer to package and sell a bag of their seasonings which on all accounts the customers accepted with great pleasure. In 2009, Cedric and Joan relocated to Mississippi yet the requests for their seasonings continued to grow. To address this growth, they created a face book page in 2010. After months of steady growth, Cedric and Joan contracted Hammett Enterprises Inc to launch a website. Our Story is an American Story, we originally packed our seasonings in our kitchen (one or two bags) and we now have our seasonings packaged at a Blendco Packing and Distribution in Hattiesburg MS.
Our C.J.’s Southern Seasonings Fish Fry is the first of our breadings and rubs. Please look for C.J.’s Southern Seasonings “Simply Southern BBQ Rub” and C.J.’s Southern Seasonings “Simply Southern Chicken Seasonings”. Our breading is an array of uniquely blended spices which lightly coats your products and delivers a Lasting Southern Taste to your palette. 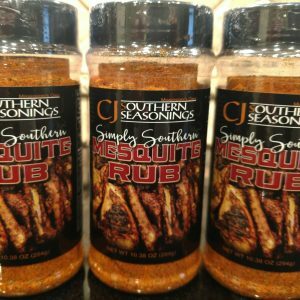 C.J.’s Southern Seasonings “The Secret Really is in the Bag”.